Together with the local community we enable this vibrant part of London to Thrive The Westway Trust Movement is an online platform to support projects delivered in Kensington and Chelsea that will make a demonstrable impact in our priority areas of health, economic opportunity and cultural diversity. We want to incubate and support innovate ideas from local social enterprises, charitable, voluntary and community organisation working within RBKC, with a particular focus on communities living in North Kensington, in and around the Westway. We are also keen to encourage local groups to work collaboratively in bringing proposals together. The Westway Trust Community Grants programme makes up to £100,000 of direct grants of between £500 and £2,500 to fund local projects each year. However we think that crowdfunding is an exciting new way for charities to fund their ideas and projects, online. Westway Trust will pledge up to £4,000 to individual projects via Spacehive. Apart from potentially helping you raise more funds, crowdfunding could also help raise your profile in the local community and possibly beyond. The Westway Trust Movement is an online platform to support projects delivered in the Royal Borough of Kensington and Chelsea that will make a demonstrable impact in our priority areas of health, economic opportunity and cultural diversity. We want to incubate and support innovate ideas from local social enterprises, charitable, voluntary and community organisation working within RBKC, with a particular focus on communities living in North Kensington, in and around the Westway. We are also keen to encourage local groups to work collaboratively in bringing proposals together. Share your ideas and get others to join in! Crowdfunding through Spacehive gives you the opportunity to ask the local community to back your project with a pledge. Projects must demonstrate they have public support for their campaign and raise all of the funds they need to deliver the project. Westway Trust will pledge up to £4,000 to a single project but the Trust will never pledge more than 50% of the total. Please note the Trust will not be the first organisation to back a project as we want to see that the initiative has community support. 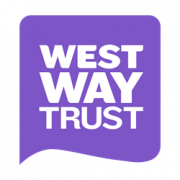 To see more on what type of projects could work, visit the Westway Trust project page. How can I use the Movement? Complete the expression of interest form so we know that you are interested – we can then provide you with more information and support in getting your project ready. Create your page as soon as you can – you will be matched to the Westway Trust Movement and can pitch online. 4. The buy in from the community. We are also keen to encourage local groups to work collaboratively in bringing proposals together. Our Movement will help you bring your idea come to life, quickly and easily. Make sure to follow us to stay up to date on funding rounds, new supporters, successful projects and events. We know crowdfunding can work but appreciate that it is not suitable for all organisations or projects and it is one of three ways in which you can apply to the Westway Trust Community Grant fund. Look out for the project support listed here, which may be able to support your Spacehive project. The Kensington and Chelsea Movement is an online platform to pool local ideas and resources, empowering the community to take civic enhancement into their own hands. If you've got an idea to improve your civic space, simply upload it to Spacehive, set your funding target, and join our Movement! Your project will sit among all other projects in the borough, helping you to attract a wide audience of backers and keeping you informed on additional funding and help you could access. City Living, Local Life is a programme in the Royal Borough of Kensington and Chelsea where local people and their Councillors identify local issues that matter and find practical ways to make the area a better place to live. The programme gives small amounts of money and lots of practical support to the best ideas. The programme is your chance to make a difference to your street , your neighbourhood...your local life. Work with local people and organisations to deliver those solutions. Small amounts of seed funding is available across each ward to make improvements or kick-start local initiatives. Last year, City Living, Local Life supported 112 projects across Kensington and Chelsea including community centre refurbishments, kitchen gardens, community mosaics, historical restorations, street festivals and Christmas lights. John Lyon’s Charity is a local funder providing grants for projects that support the life chances of children and young people through education. Registered charities, schools and exempt charities such as churches can apply. The small grants programme provides grants of up to £5000, with larger grants available in the main grants fund. Apply at any time. The Royal Borough’s Arts Grants Scheme funds arts activities or projects which benefit Kensington and Chelsea residents. Grants of up to £3000 are available. Deadlines for 2016/2017 are to be announced. The Big Lottery Fund’s Awards for All Programme provides a simple way to access a Lottery grant of up to £10,000 for projects which address the needs and aspirations of local communities. They will fund a wide range of community projects aimed at developing skills, improving health, revitalising the local environment and enabling people to become more active citizens. Apply at any time. Comic Relief Local Communities Programme aims to empower local people, enabling them to create lasting change in their communities. Grants of between £1,000 and £10,000 are available. Projects could focus on increasing life skills, employability, community cohesion and health and wellbeing. Priority is given to small, locally based groups and organisations in areas of disadvantage. Westway Trust is a charity that manages the 23 acres of land under the Westway flyover in west London for the benefit of the community. With funds raised from property rental we provide education, grant-making, arts and other programmes aimed at the local area and its residents.